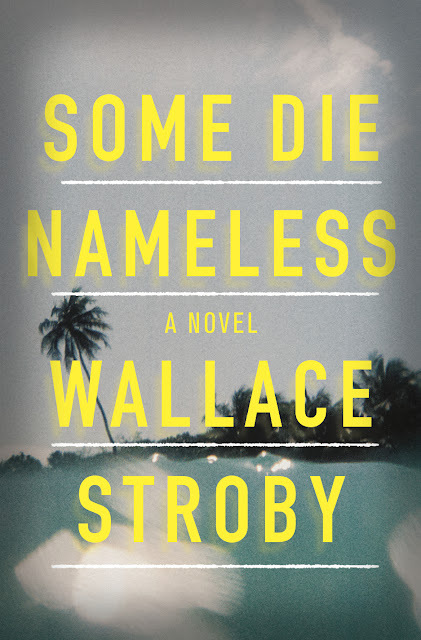 New Jersey journalist-turned-author Wallace Stroby put up a post in his blog yesterday, sharing some of the favorable comments he’s already received about his seventh novel, Some Die Nameless, which isn’t due out from Mulholland until July. While reading that piece, I kept thinking the title of Stroby’s thriller sounded familiar. A quick check through my scans of vintage paperbacks reveals why. 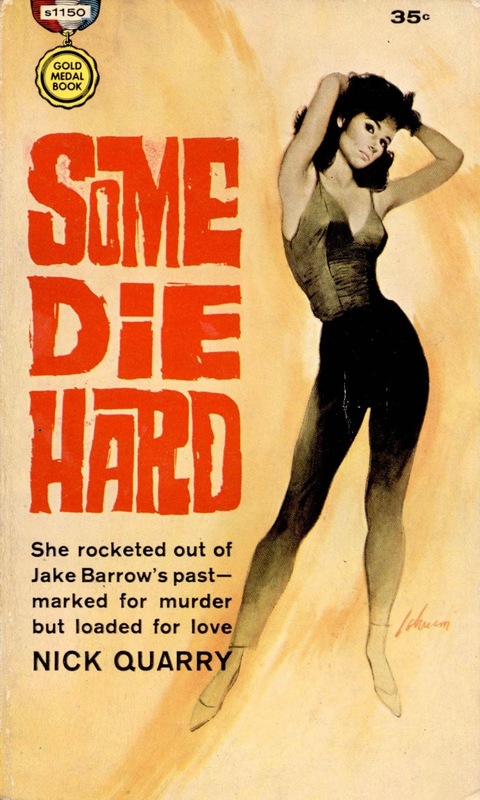 (Left to right) Some Die Hard, by “Nick Quarry,” aka Marvin H. Albert (Gold Medal, 1964), with a cover illustration by Raymond Johnson; and Some Die Running, by “Norman Daniels,” aka Norman Arthur Danberg (Avon, 1960), with façade art by Milo. 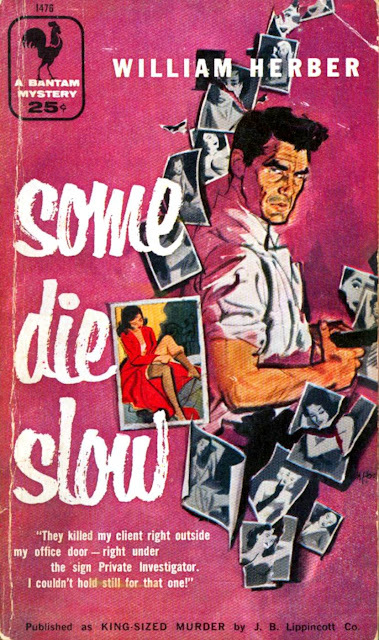 Some Die Young, by James Duff (Graphic, 1956), featuring artwork by Roy Lance; and Some Die Slow, by William Herber (Bantam, 1953), with a cover painting by Mitchell Hooks. Killer Covers is a companion project of The Rap Sheet, a news and features resource for crime-fiction fans, edited by J. Kingston Pierce. All text © 2009-2019 by Killer Covers or its individual contributors. Killer Covers banner by Rob Kelly. We've just added American novelist and cartoonist Lawrence Lariar to our list! "Ours Was the Most Security Conscious Project in the Whole Country; and This Was Where He Had Picked to Get Himself Killed"
How Will Tech Giants Shape San Francisco’s Future? 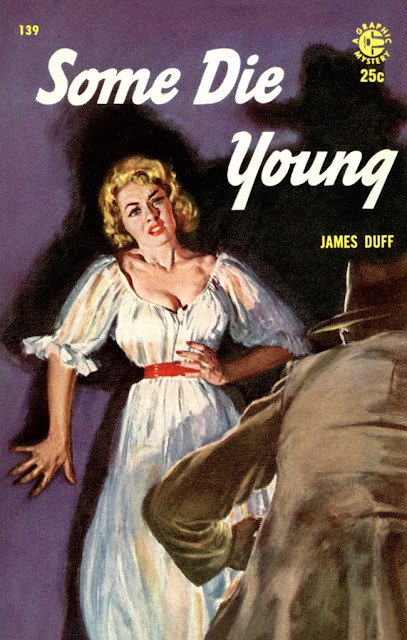 The Raymond Chandler Web Site Is Back!!! Are Non-Jews Who Host A Seder Sharing Jewish Culture Or Hijacking It? Who Profits When You File Your Taxes? Happy Birthday, Sir John Gielgud!